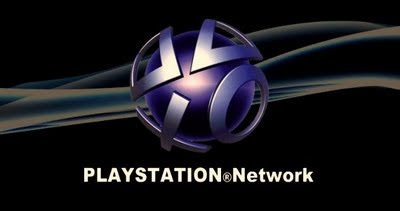 In what can be described as massive step forward for Sony's PlayStation Network restoration plans, the company has announced plans to relaunch the online service in Japan and Asian countries and regions including Taiwan, Singapore, Malaysia, Indonesia, and Thailand on May 28﻿. This marks the last major region to come back online after services have already begun resuming in North America, Europe, Australia and Latin America﻿. The major security breach which took down the service occurred some time between April 17 and April 19, 2011﻿, when unauthorized intruder(s) hacked into Sony's servers and successfully stole a vast amount of sensitive consumer data including user's full name, address, email address, birthdate, PlayStation Network/Qriocity password and login, and handle/PSN online ID﻿. It has not been officially ruled out whether billing information was also taken, which may include credit card number, expiration date, and consumer purchase history. All users of Sony's PlayStation Network have been advised to stay vigilant and monitor their personal information closely. Japanese government officials within the Ministry of Economy's Media and Content Industry department ﻿had some outstanding questions regarding the security of the PlayStation Network and Sony's plan to safeguard consumer data, and had blocked the restoration plans until they got their answers. "We met with Sony on May 6 and 13, and basically we want two things from them," Kazushige Nobutani, director of the Media and Content Industry department at the Ministry of Economy, Trade and Industry, told Dow Jones Newswires. "The first is preventative measures," said Nobutani, and stated that Sony was incomplete in rolling out measures the company promised they would do at a May 1 press conference. The second was how Sony plans on winning back consumer confidence over the protection of personal data such as credit card information. Working closely with the Japanese Ministry and respected outside security firms, Sony has come to a resolution to both these demands. Additional security measures have now been put in place to strengthen safeguards against unauthorized intrusions, including updating and adding advanced security technologies, additional software monitoring and vulnerability testing, and increased levels of encryption and additional firewalls. An early-warning detection system which measures unusual activity within the network infrastructure has also been added and could signal attempts to compromise the network. A brand new position, Chief Information Security Officer, has also been created at Sony to oversee information security across the company's vast network infrastructure. In addition, Sony will also be offering identity protection measures in Japan including the establishment of a phone hotline to offer guidance on the restoration of services, and how to protect against identity theft. Sony will also bear the costs for all customers who wish to replace their existing credit cards with reissued cards. Further still, Sony will also introduce a "Welcome Back" package to Japanese customers, which, like in North America, will extend an offer to download two PS3 games and two PSP games as a thank you. Sony will also throw in other free offerings in the Welcome Back package including 30 days free membership to PlayStation Plus, a free membership card to Weekly Toro Station﻿ for 30 days, select movie rentals free of charge, and a special personal space in PlayStation Home. At this time it appears that service will not yet be resuming in South Korea and Hong Kong, however Sony says restoration timelines will be announced as soon as read﻿y.